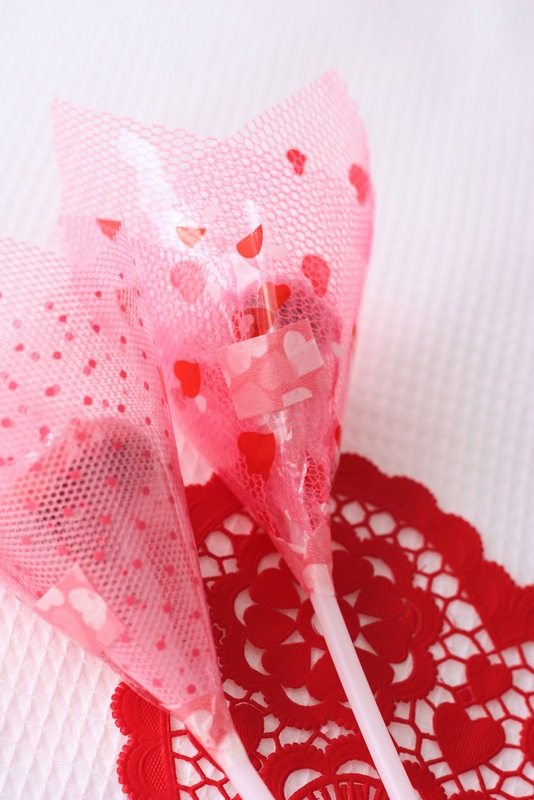 Nothing says Valentines Day quite like hearts, flowers, and chocolates. 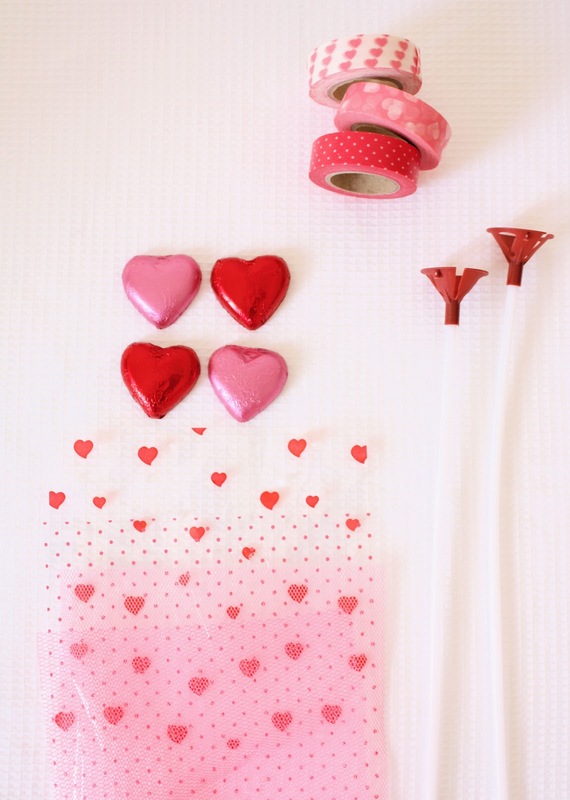 Now you can combine all three in this easy Valentine project. 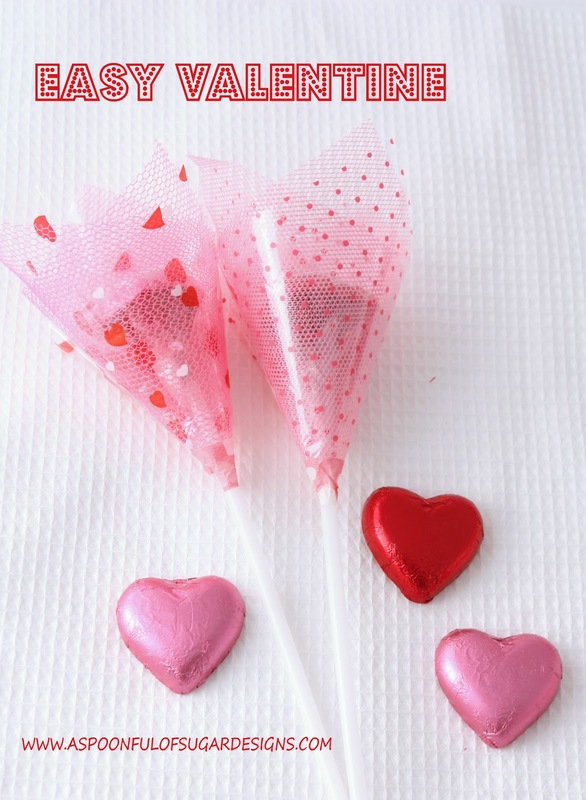 These quick to make Valentines would be perfect to give out to your child’s class mates. 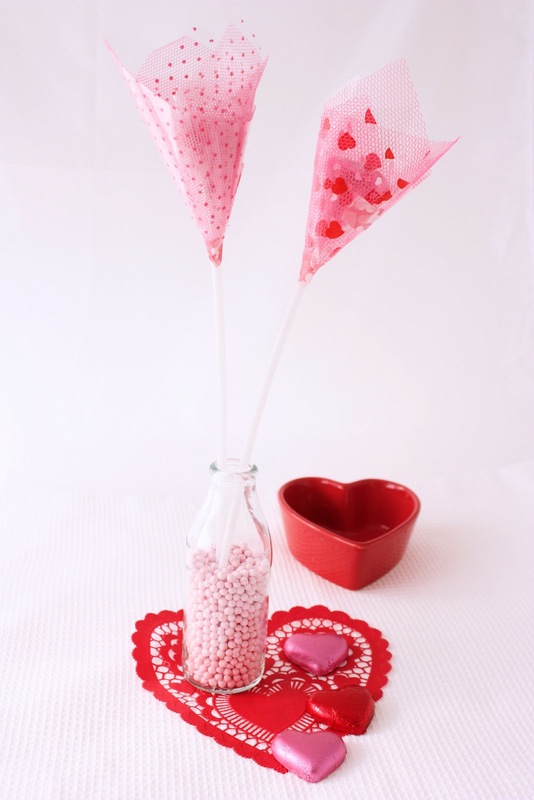 The Easy Valentine uses a balloon stick with cup attachment (the kind that non helium balloons are attached to). The balloon cup is a nice base for the chocolate to sit on. 1. Position the chocolate on the balloon cup so that it is centred. 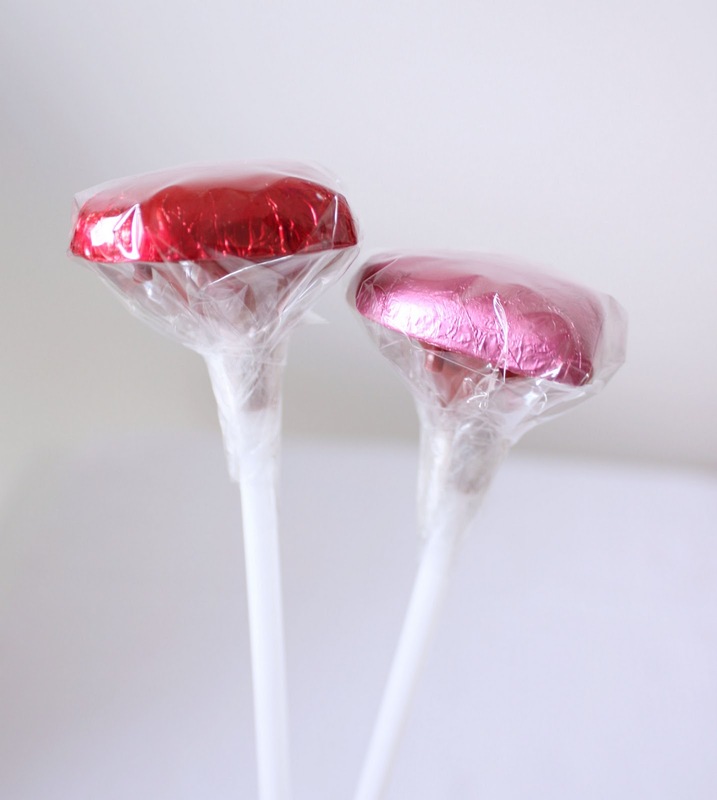 Cover it with a clear square of cellophane, and twist the cellophane around the balloon stick and hold it in place with some clear cello tape. 2. Layer the tulle on top of the printed cellophane square. 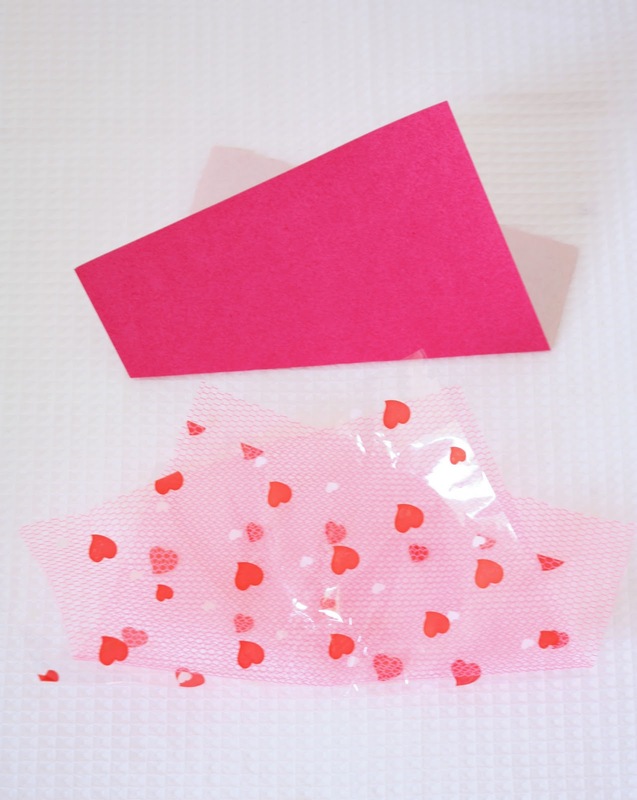 Fold the cellophane in half so that it is off centre – refer to photograph below. (The cellophane and tulle were tricky to photograph so I have used a square of origami paper as a guide). 3. 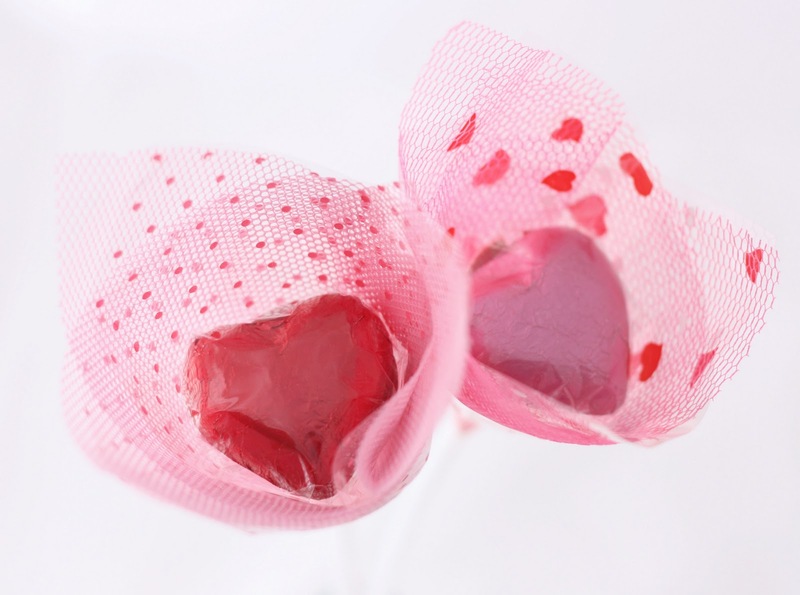 Wrap the folded cellophane around the chocolate, and adhere with a small piece of washi tape at the base and where the cellophane overlaps. 4. Et Voilà! 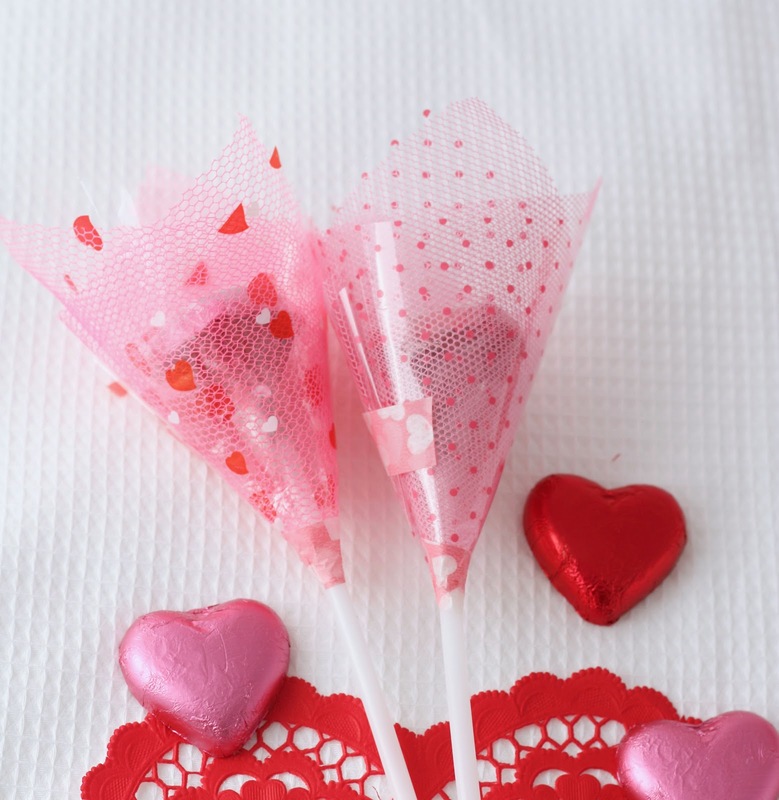 You could also add a label/tag to the stick with a Valentines message. Have you Subscribed to our newsletter? The first issue is coming out in February. Oh! These ARE so simple – and cute! What a great idea for kids to take to school. Thanks! This is a really cute idea! It can be used for a number of special occasions. Thanks! Balloon stick cups!… have mercy just what I need for something I am making and it was here with you all along!. 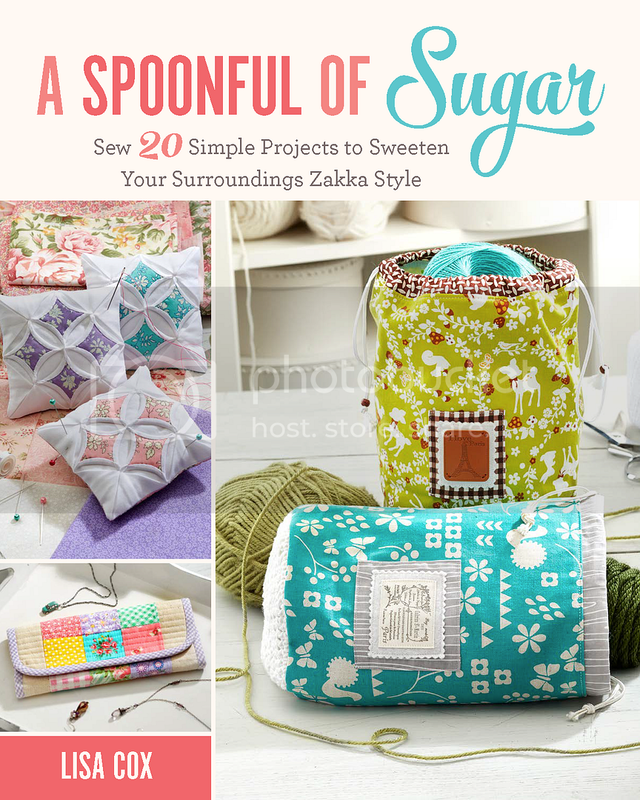 THANK YOU and LOve this sweet project!! Very cute Lisa — and perfect for Valentine’s Day! These are super cute. They would be perfect for class Valentine’s.